Google announces to the panel’s dismay the end of life for its Google Reader application. This has been a staple for RSS feeds for the panel. Fortunately, there are other options available. Feedly has been tossed around the social media as an alternative as well as just using Flipboard on your mobile devices. Personally, I enjoy having a desktop/browser version available. What are some of your RSS aggregator options? Google has so many products available and not all of them are even remotely common. What’s the next piece of their empire to get the ax? Blogger? The link above gives the current list of casualties. The don of Android, Andy Rubin, is stepping away to focus on other projects at Google. Sundar Pichai, the VP of Google Chrome, will now take over as Android lead. We speculate on what we think this means for Google Chrome, Chrome OS and Android. The current Chromebook Pixel allows for touch interaction and seems perfect to have an Android backend on it. The Chrome browser is already an app on most Android devices. Is convergence on the horizon? No specific details were mentioned regarding Rubin’s new duties. President Obama has called a meeting with the country’s top CEO’s to discuss cyber security. Recently Facebook had a small attack, Evernote detected an attack and now big name stars Jay-Z and Beyonce had a data breach. Also included in the breach were First Lady Obama and Vice President Biden. Social security numbers and other data were revealed on a Russian website. Was this attack the last straw? Is this what made the President call the meeting? We discuss what we think goes on with these attacks that are sensationally reported which ends up being nothing more than a DDOS. Also, what is really going on between the US and other countries of the world when it comes to cyber warfare. Guess who’s not going to Google I/O this year? The YATS panel. Shocking, I know. Doesn’t matter, we’re aren’t the only people on the outside looking in. The registration and ticket sales was short-lived yet again. This year the conference sold out in 43 minutes. Granted the process wasn’t smooth as Google Wallet and the registration site took a beating from floods of network packets trying to be a part of the party. Maxis has taken a beating in the media due to issues with its highly anticipated video game Sim City. First the game requires you to be online at all times. There’s no local disk play for people that don’t want a multiplayer experience. Secondly, the gameplay was limited. Why? Because the bandwidth wasn’t available. Only five servers were available at launch. This was an insane way to launch a game. Many players fought to get spots on servers, but sadly failed the majority of the time. One would think Maxis would have seen the past poor performance of other game companies on launch day and better prepared. Fail. 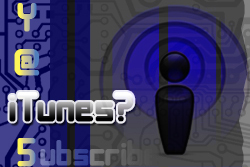 How often do you as a YATS listener get nerdy? I installed Ubuntu Touch developer preview on my Nexus 7 recently. This was a nerdtastic treat for me as I was able to break my device, but then finally reach the goal of getting the new OS installed. Those of you that have installed an operating system on a computer understands the process, but it’s slightly different to do so onto a mobile device. There’s no CD to slide in. After bricking my device, I had to figure out how to nurse my tablet back to life. This (manual) process helped me to understand what really goes on behind the scenes of these Android toolkits found online. BlackBerry has received orders for one million of its flagship Z10 devices. BlackBerry stock has been doing well recently. Does BlackBerry have a chance in the mobile space? The device isn’t running hardware that’s comparable to today’s phones, but there may be just a little potential. As Mike says, “It’s OK.” We shall see. Fortunately, it doesn’t look like smartphones are being sold based on hardware anymore. It’s all geared towards features today. Did you know that aliens lived on Mars? Oh sorry, I shouldn’t say that. The India Times reports that there is evidence of life being on Mars at one time. This barely qualifies as news. We discuss this report and the point of it. Science is great. The feat of getting the rover to Mars is absolutely amazing. I’m just waiting to hear more news that will “shake the earth.” Some of the information reported to the masses have been yawn worthy in my opinion. And that’s YATS for the week, folks. Thank you for your support of our show. 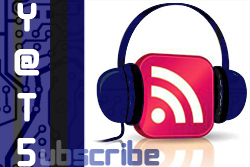 Be sure to subscribe to us in your RSS reader and in iTunes. Your subscriptions, ratings and sharing to others really helps us out. Follow our social media feeds on the buttons above to keep up with the show and also join our Google+ Community for more discussions with us and other listeners.